We wish to celebrate the art and craft of landscape photography! We do this by collecting 101 of the best landscape photographs into a book – printed by Momento Pro, as well as rewarding the ‘best’ single photographs, and the ‘best’ portfolios of four photographs. In this fourth year of the competition, we are again very pleased to have the depth and judging experience of five of the world’s best photographers and industry professionals. We are also pleased to welcome new sponsor Epson Australia! The competition is open to all photographers with the aim of again finding the best 101 landscape images from approximately the past 2 years and publishing them in a beautiful coffee table book which will be available in a variety of formats, including a free e-book. The judges will also be on a search for the International Landscape Photographer of the Year (based on a folio submission of at least 4 images) and the International Landscape Photograph of the Year. 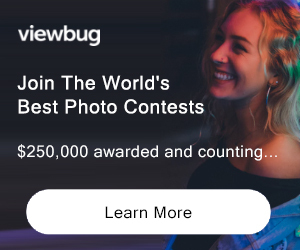 Prizes on offer include US$10,000 cash, Epson Printers, trophies, limited-edition copies of the awards book and large framed prints of winning images. PRIZE DETAILS: Prizes on offer include US$10,000 cash, Epson Printers, trophies, limited-edition copies of the awards book and large framed prints of winning images. 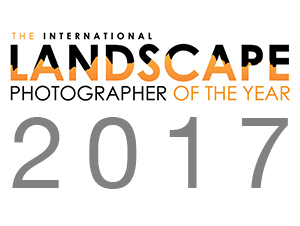 http://www.internationallandscapephotographer.com/index.php/awards/prizes Not eligible to enter? - Find contest where you are. COPYRIGHT: Copyright remains the property of the entrant. USAGE RIGHTS: All Entrants agree that any Entry submitted to the competition may be used by the Organiser, and its Event Partners (e.g. Momento pro, Created for Life, Epson) for the purposes of judging the Competition, and marketing and promotional purposes of the Competition. -allowing viewers of the Awards website to view images on a computer screen, PDA or mobile telephone and store such pages in electronic form on disk or on a PDA or mobile telephone for their personal, non-commercial use only. Non-winning entries may be used solely to promote the competition for a period not to exceed 3 years from the close of the competition. The Organiser wishes to promote the Awards with the winners' images, but we don't want to prevent our winners from benefiting commercially from sales of their own work. A small number of entrants may need to be able to license their work exclusively at some point in the future and the Organizer commits to providing a release in such circumstances upon being contacted. Any photograph used by the Organiser shall carry a credit line. Any failure to provide such a credit line shall not be deemed to be a breach, as long as the Organiser uses its reasonable endeavours to rectify such failure within a reasonable period from the date of notice of such failure.